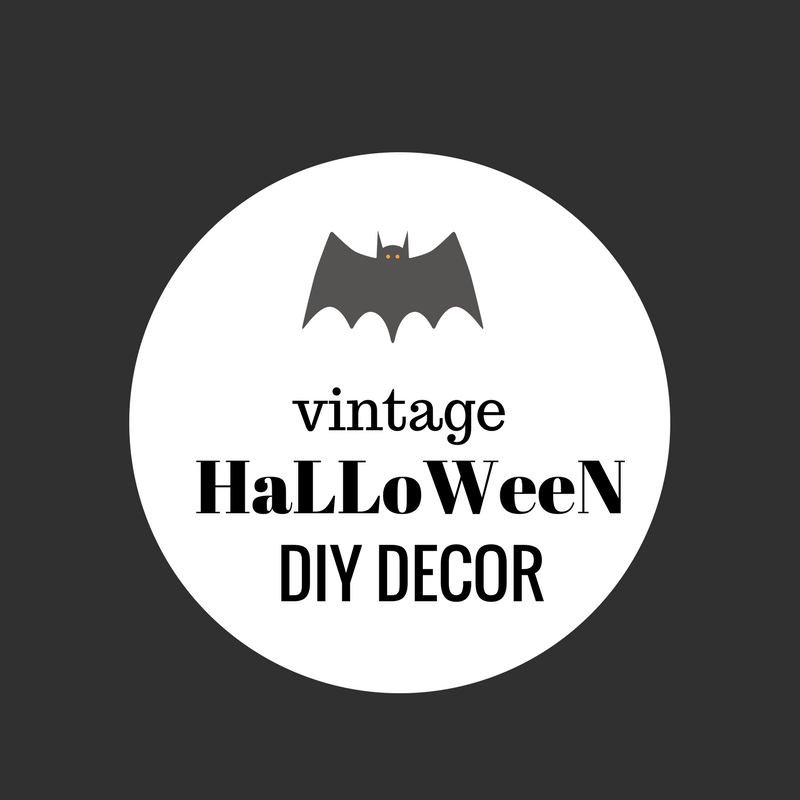 An easy tutorial to add some DIY vintage spooky flair to your Halloween decor! 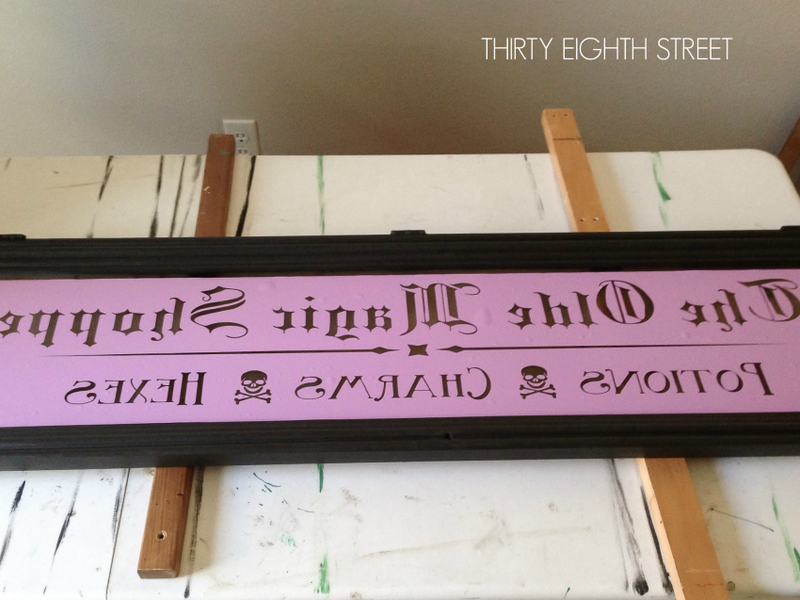 Learn how to transform and up-cycle a china hutch door and turn it into an old antique sign. It's budget friendly halloween decor that will leave you smiling! 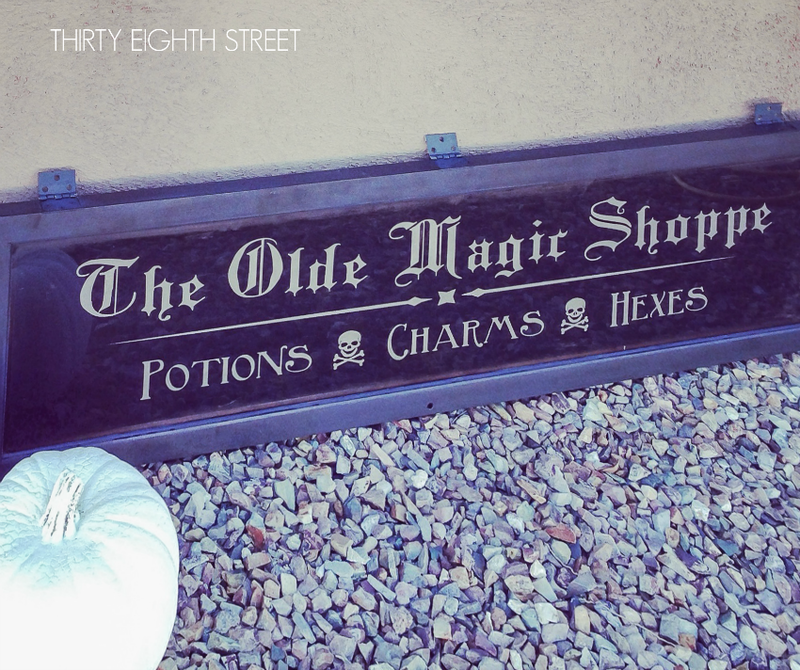 If inexpensive and unique Halloween decor is up your alley, we're glad that you're here! A few months ago I showed you how I dissected a hutch and turned it into a buffet. If you’re interested you can read about the Ohio Hutch project here. I have re-purposed china hutches on several occasions. My favorite way to re-purpose a china cabinet is by transforming them into stand alone furniture pieces. You can see how we up-cycled this china cabinet into a separate buffet and cabinet simply by adding feet to both pieces here. Disclaimer: Some of the links are affiliate links for your shopping convenience. You can view our full disclosure here. 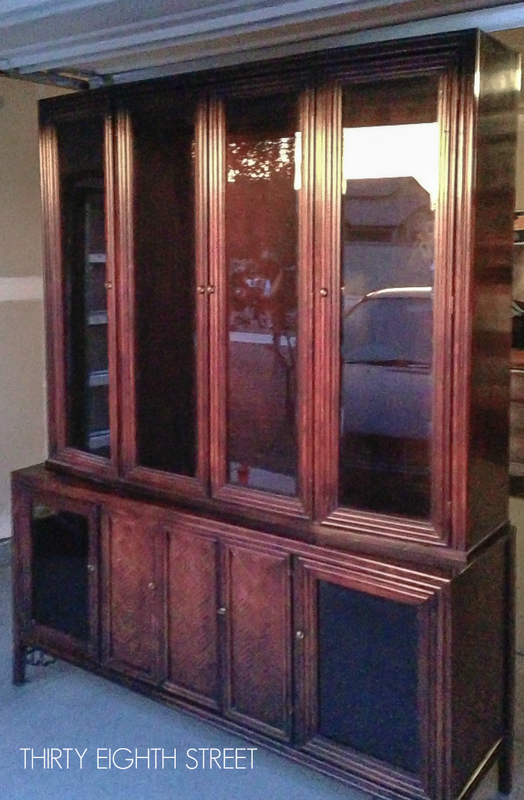 And this china hutch is another one of my favorites! It was converted into a stand alone cabinet and painted using this paint- from one of my favorite furniture paint companies! If you like bold colored furniture, then you'll probably enjoy this idea for a china makeover! It's definitely eye catching! 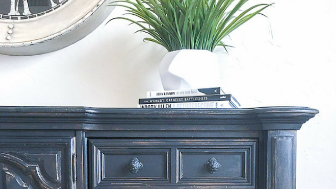 However, for this post we're not going to be up-cycling this china top cabinet into another piece of furniture, we are going to do something completely different and I'm excited to share it with you! Long glass doors make perfect holiday signs. 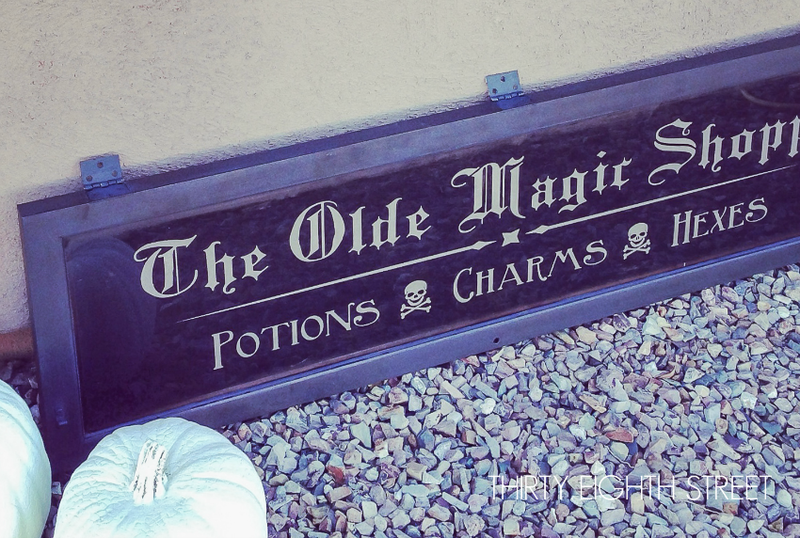 It just so happens that it's nearly Halloween time around here and I need a Halloween sign for my front porch. 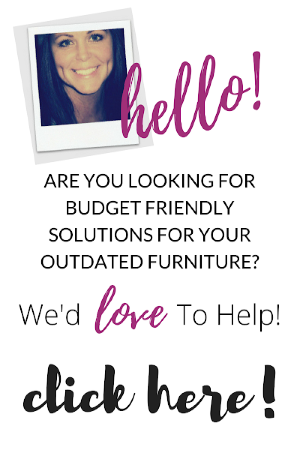 But, if you didn't have a china hutch lying around and you're tempted to create one... check out your local Habitat Home Center in your area! They often times offer LOTS of inexpensive salvaged materials and furniture that could work for this type of sign- Think windows! If it's not Halloween time and you're reading this, create one for Christmas or another holiday. 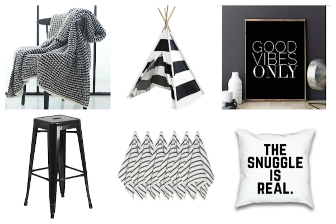 If you're a boutique owner, wouldn't it make for an incredible window display? Really, I think the possibilities are endless. And it was REALLY easy to make! 2. 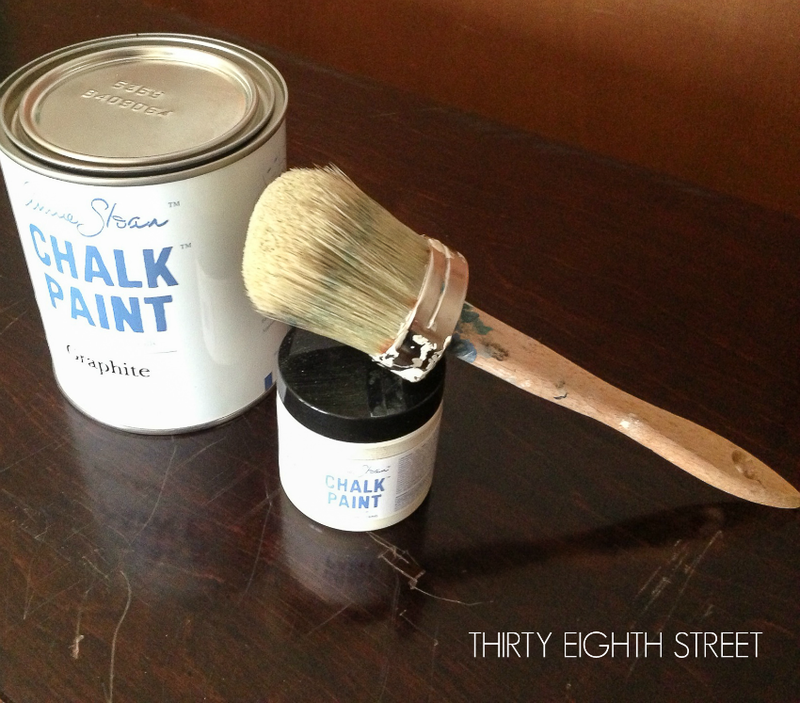 I painted the door frame with Chalk Paint® decorative paint by Annie Sloan in Graphite and then applied a dark wax. 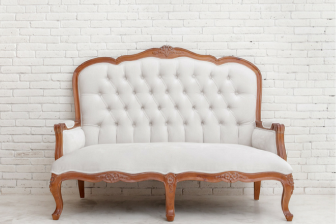 To get a similar look, this paint right here or here would do the trick! 3. Select or create your favorite Halloween typography or graphs. Create a mirror image, then print/cut them onto vinyl. This creates a stencil for you. Cricut machines do a GREAT job of cutting vinyl! If you've been wanting one here are a few that are on sale right now on Amazon. 4. Take the sticky back off and center it onto the back of the glass making sure the hinges are placed at the top (position of hinges become important later on). 5. Use a rubber scraper (I used my Pampered Chef scraper) and all kinds of arm muscles to rub the top of the vinyl really good. This step is important. Take your time doing this. If you get lazy on this one, the vinyl will stick to the top layer of the paper as you’re peeling it away. If you don't have a rubber scraper I suppose a credit card would also work! 6. 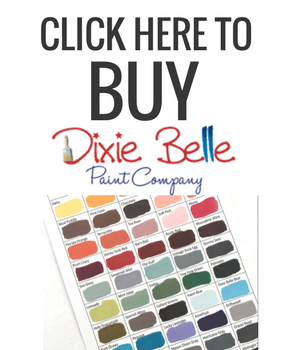 Once the vinyl is on, paint a few light coats of chalk based paint in the color of your choice over the lettering. I happened to have Old White Chalk Paint by Annie Sloan so I used that but anyone of these chalk based paints will do! Once it's dry, carefully peel the vinyl away and then paint your dark paint color over the entire glass. 7. 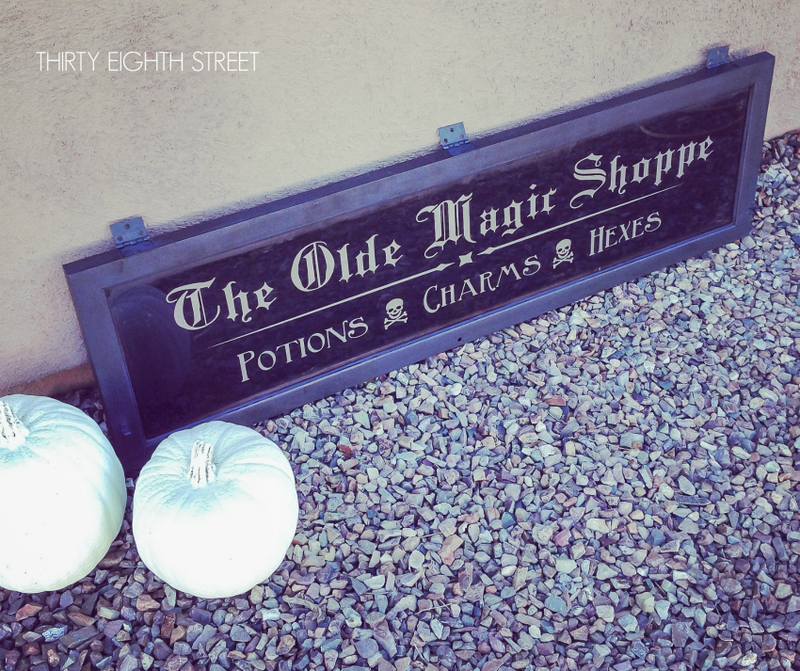 Secure your sign with chain and some S hooks via your door hinges and hang it from your window or door to add some spooky vintage flair to your Halloween decor. A big THANK YOU to Huffington Post for featuring this project! 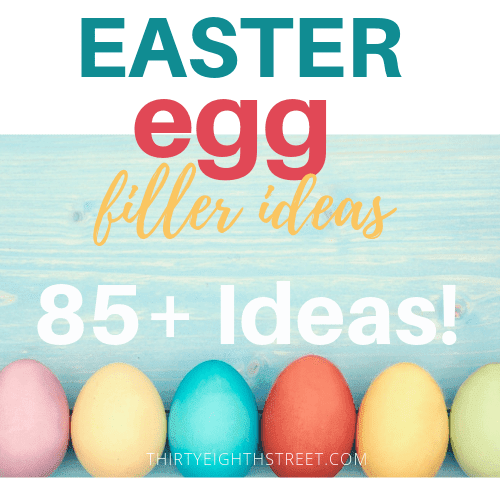 Are you interested in receiving MORE creative DIY sign ideas? Check out our DIY Chalkboard Sign Tutorial! It will teach you how to enlarge an image (BIG poster size) for FREE using your own computer. That kind of knowledge comes in handy for all kinds of DIY projects! Thirty Eighth Street wishes you a BOOtiful halloween season this year for you and your families! I am all for repurposing trash into treasure and this looks amazing. Thank you for sharing it with us on Welcome Home Wednesday! We hope that you visit us again next week. I'd love to share again! Thanks! Love what you did to the leftover part of the hutch! Visiting from What to do Weekends! Hi Ann! It makes you think about doors in a whole new light! :) Thanks for stopping by! Awesome use of that old glass door. I like the paint effect on the glass and leaving the hinges on gives it a nice old/rustic touch. Hi Alayna! The hinges allow me to hang it with spooky chains. ;) Thank you for inviting me! I'd love to! You are so creative! I am in love with all your projects, following on Instagram and hungry to see more!!! Ah, thank you for sharing Sydney! This project was a fun one and my kids think it's "spooky" too. :) ! I'd love to come party again. Thank you! Loving everything about this one, the typography is great! Where did you find that cool stencil? Love that sign! Thanks for joining Home Sweet Home! I love that sign!! I think is about time to bring my Cameo to work, thanks for sharing!! Thanks, Pili! I hope you create something amazing with it! such a cute idea!! i love your sign and the color you chose. i did this back for Christmas but used a mirror and of course i propped it against a chair and fell and shattered. i should've done what you did and laid it on the floor. doh! 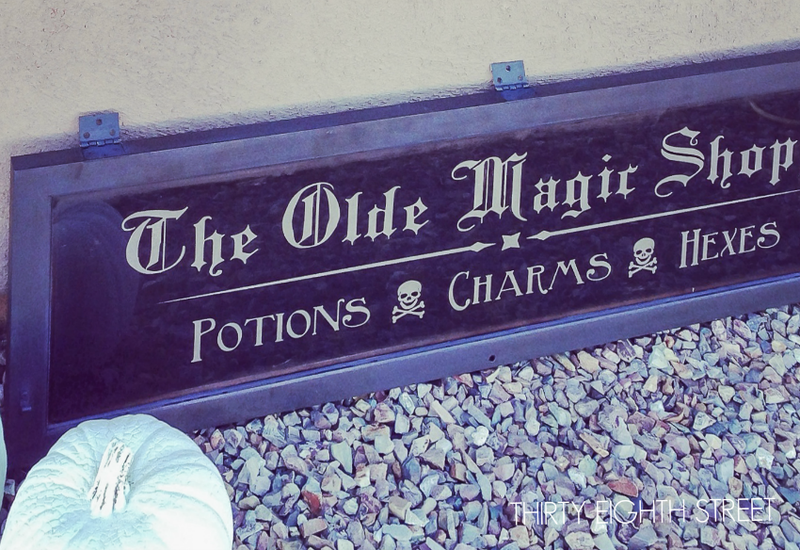 Love your Halloween sign and what a clever idea! I totally would love your hutch! I've been looking for one. That sign is so cute, I love it! I will have to try and make one for this Halloween for sure! 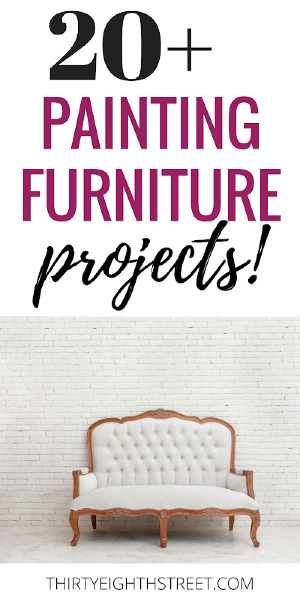 It was a really fun and easy project to create! What a great idea! Love this for Halloween and your hutch is awesome too! Thank you, Sam!! Glad you enjoyed it!